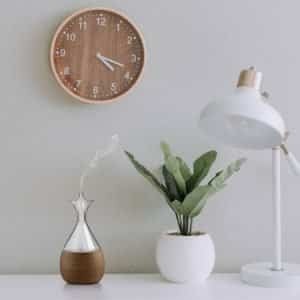 The Bushberry-Mist Aromatherapy Nebulizer Made of Beech Wood and Glass is specially designed for your home or office. 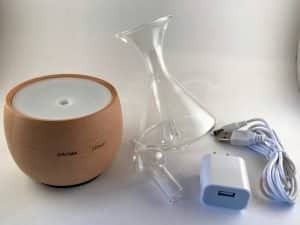 It’s a beautifully crafted and quiet essential oil scent diffuser that creates a consistently high concentration of pure essential oil in the air of your home and room, and is safe to use. 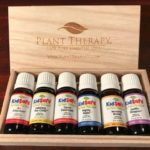 Aromatherapy Nebulizers are a type of essential oil diffuser that doesn’t use heat or water to disperse essential oils into the air. Using straight essential oils in the reservoir, the unit disperses cool aromatherapy mist into the room of your choice. 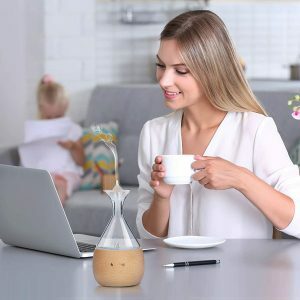 This vase-style touch nebulizer is part of a newest series of nebulizer diffusers that combine the effects of glass and natural wood, and gentle candle light, to create a new ambiance for your living environment. Through the simple touch of your finger, you’ll enjoy cleaner breathing air and added tranquility in your life. The Bushberry-Mist diffuser is made with beautiful natural materials of glass and beech wood, giving it an earthy and calm appearance. No buttons! It works with an elegant “touch-screen” technology where you simply swipe over the appropriate icon to activate the mist or light functions. Pure, strong essential oil scent is omitted due to the nebulizing technology that uses no water. Comes with USB plug and cord, or a power outlet connection for flexible use and placement around your home or office. Awesome introductory offer of 20% reduced price when using the code 7HUJBX8F at checkout on Amazon.com. How does a Nebulizing Diffuser Work? An Overview of the Nebulizing Diffuser Parts. Nebulizing diffusers use an air pump that blows air over a glass suction tube, which is submerged in the essential oils reservoir. This air flow atomizes the essential oils and disperses the fine particles into the air through the top opening funnel. Nebulizers are extremely efficient. Since they don’t use any water like their ultrasonic counterparts, you will be able to achieve very strong essential oil smells from it. In a “regular” ultrasonic diffuser, you use water in the unit to help disperse the essential oils. Nebulizers don’t use any water. It’s a perfect way to disperse the small molecules of essential oils through the air to enter the body via our sense of smell. 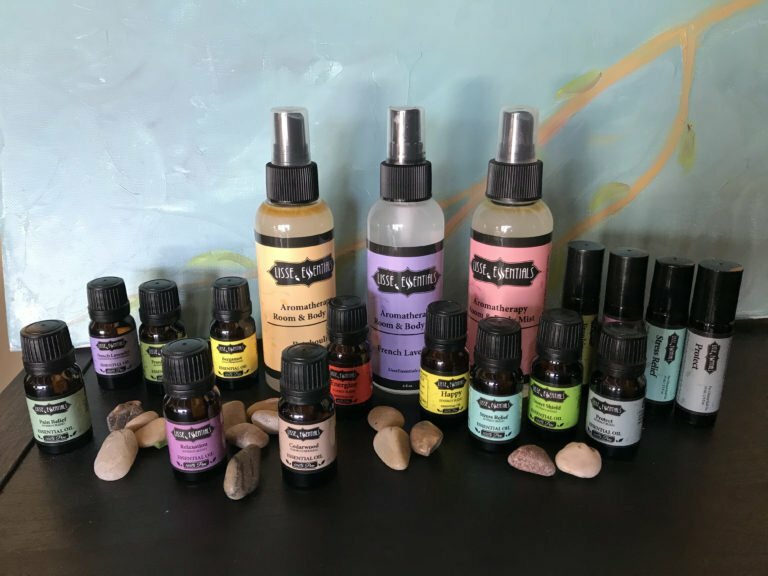 The best aromatherapy results will be achieved if a good quality oil is used (that does not contain a carrier oil as this will leave a residue of grease in the glass). An easy way to check the quality of your intended oil is to do a simple evaporation test. Put one drop of the oil on a sheet of printer paper and wait a couple of hours for it to evaporate. 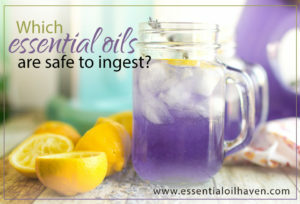 If the paper dries quickly, you have selected a pure essential oil; if it leaves a grease spot the oil has a carrier and cleaning of the glass will be more prudent (and difficult). Use code 7HUJBX8F at checkout for 20% off. Take the power supply from the package and plug into power connection of the diffuser. Fill the reservoir with at least 10 drops of pure essential oil of your choice. 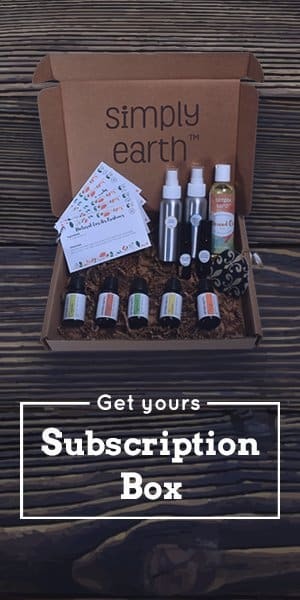 I personally found that it works great to start with about 30 drops of oil. 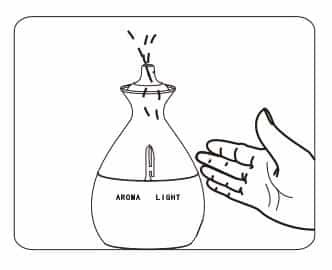 If desired, a maximum of 30 ml of essential oil can be added to the glass, just ensure the oil level remains at least 5 mm below the top of the glass nozzles in the center of the glass reservoir. Insert the supplied glass nozzle on top of the glass reservoir with a slight turning motion. Place the diffuser unit on a flat surface and swipe the area on the body of the diffuser that indicates ‘aroma’ (icon); now a blue led will be seen below the glass reservoir and a small humming noise from the air pump should be heard. The unit will start to produce a mist of aroma. By swiping the ‘light’ icon, the internal light will switch on at full or half brightness or off. By default, light will be off. Plug the DC power adapter to the inlet at the bottom of the diffuser. Connect the USB power cord to the socket, and plug that supply into a wall socket. Insert the glass topper into the wooden base with a downward rotation move. Add appropriate drops of essential oil. Cover the glass base with the spray nozzle topper and adjust its position to ensure it’s sealed tightly. Activate the desired working mode by touching the side of the diffuser base. Don’t leave unused oil in the glass nebulizer over a few days without using it since the oils will thicken up and might clog the diffuser. Nebulizers are great for larger spaces. Use code 7HUJBX8F at checkout for 20% OFF. Yes, the diffuser is programmed to turn itself off after 4 hours of use maximum. This is handy so you don’t have to worry about remembering to shut off your diffuser after longer periods of use. NOTE: The diffuser pump creating the aromatherapy mist will shut off automatically, and so does the blue, red or green led when the time is expired; however if you turned on the light during start-up, the light will remain on. This vase-style nebulizer is rated to cover an area of 325 sq ft. That’s approximately 30 sq meters. 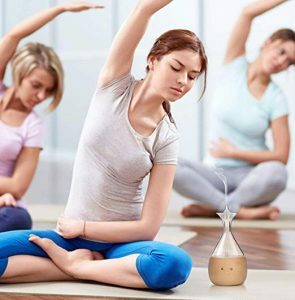 The diffuser features different flow settings to accommodate both aromatherapy practitioners (for 2 hour settings) and usage as a ‘refreshing’ device using essential oil in the 4 hr low setting targeting medical facilities and waiting areas, yoga studios and hallways. Can I turn Off the Lights On It? The Bushberry Nebulizing Aromatherapy Diffuser features separate buttons for aroma mist and light modes – all operated by touch-screen mode. Touch light button once, the light is turn on, brightest light mode. Touch light button a 2nd time, the lights are half bright. Touch the button for a 3rd time to switch off the light completely. How do I Operate the Different Mist Modes? Swipe over the Aroma button once, and you’ll be in constant speed mist mode (“normal”), indicated by the blue light. The default run time on this setting is 2 hours, with normal mist diffusing intermittently. Swipe over the Aroma button for the second time, and you’ll be in strong mist mode, indicated by the red light. The default run time on this setting is 2 hours, with strong mist working intermittent. Swipe over the Aroma button for a 3rd time, and you’ll be in night mist mode (“low”), indicated by the green light. The default on-time is 4 hours, with gentle mist working intermittently. NOTE: In all of these modes, the pump will be on for 2 minutes, then pause for 3 minutes. If some days, you get a lower mist amount than others, do not be alarmed. Relative humidity, room temperature, and overall air flow in the home are all factors that affect the mist amount emitted by your nebulizing essential oil diffuser. However, if the problem persists or occurs on a regular basis, check the following tips for maintenance and cleaning of your unit. Take apart your diffuser for easy cleaning access. To remove the glass bottle from the wooden base, take off the lid in a vertical upward rotation. Pour out the remaining essential oil from the glass bottle and add 3-5 mL medical alcohol inside the glass; swirl it thoroughly and empty it. Put the glass back on the diffuser and let it run for 15 minutes to allow the remaining alcohol to evaporate; also check if the suction tube is free from residue. Let air-dry well before using again. Mix 1 glass full of boiled (warm) water or filtered warm water with one table spoon of baking soda (bicarbonate). The water needs to be boiled first in order to remove chlorides and to reduce the hardness. If the glass is cleaned the same way you would clean an expensive wine glass, the result will be fine as long as no brush or cloth is used inside the glass. 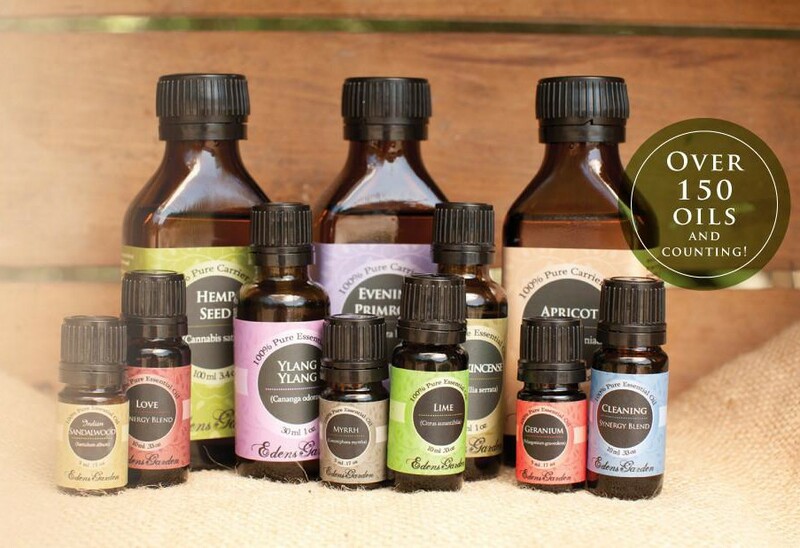 You’re ready for another type of oil to be diffused! Use 95% pure alcohol (that a pharmacy sells), or pure or diluted apple vinegar to remove most grease. After the swirl with vinegar, flush the diffuser glass with the same mixture of water with baking soda as described above; alternatively, a biodegradable grease remover or dish washing liquid can be used to rinse the glass. I tried ‘Green Action’ Multi-purpose cleaner from Aldi with good results after using an essential oil with carrier-oil. CAUTION: Do not wash the wood base with water. Instead, use a wet towel to wipe it clean. Is the power cord connected properly? Disconnect, check cables and reconnect carefully. Is the USB cord or power plug faulty? Check to ensure the USB cord or power plug in good condition. separately. If one of them works but the other is broken, please contact your local dealer for maintenance or replacement. The LED light is on, and the sound of a motor can be heard, but there is no misting? Check that the glass bottle is in good connection with the wood base. Check that the oil level is above the minimum but below maximum (I have good success starting this diffuser with about 30 drops of essential oil). If you still get no misting, use medical alcohol to clean the nozzle. For abnormal operation after all these tips, please contact your local dealer for maintenance or replacement. Does the oil volume you put in overflow the built-in nozzle? Check that the oil level is at least 5 mm BELOW the top of the glass nozzle. Pour out the remaining essential oil, clean the nozzle, let it dry completely and try using the unit again. It’s really a beautiful essential oil diffuser! I love mine. Use code 7HUJBX8F at checkout for 20% OFF. This nebulizing essential oil diffuser is sold by the company Bushberry Mist. 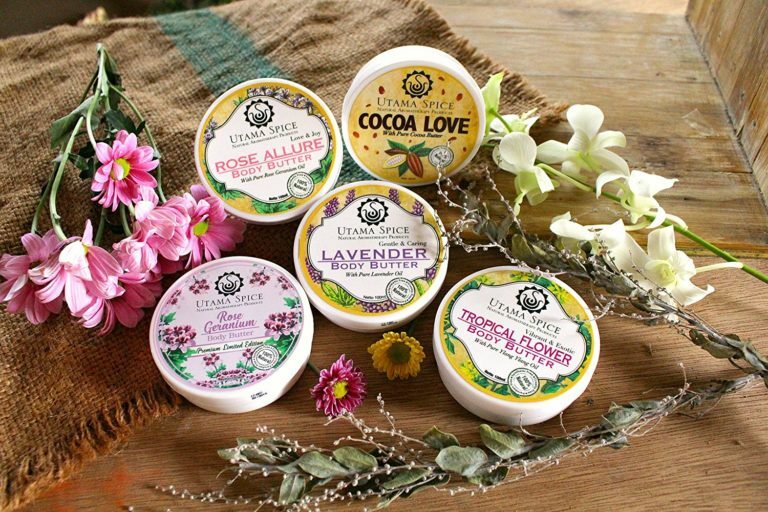 They have done their best to ensure that their product meets the highest standards; search for ‘Bushberry-Mist’ on Amazon.com.au or You Tube and look through the product information pages. You may also check the FAQ section on their website or contact customer service via email (info@bushberryonline.com) if you have questions. This particular nebulizer is manufactured in China under the company’s quality control regime and procedures; they are confident to give it a 12 month warranty. The product is under one year limited warranty, provided the operation and maintenance instructions outlined in the manual have been followed. Should there be a failure of the operation of the diffuser due to a fabrication issue, Bushberry Online will replace the unit within 12 months of purchase. Normal operating conditions are assumed. The Bushberry Essential Oil Diffuser is made of glass and natural beech wood. These are fragile products, please handle gently. Do not allow children to play with this diffuser as a toy. 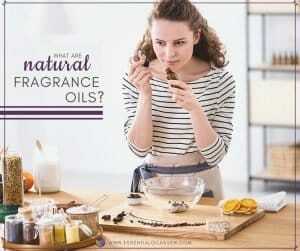 For best longevity of the diffuser, use 100% pure natural essential oil only. This product is not a piece of medical equipment, do not directly inhale the aroma mist from the spout. To clean your diffuser, use medical alcohol to clean the glassware at least one time every week to avoid nozzle clogging. When cleaning glassware, do not allow cotton swabs or brushes to scrub the glass nozzle. If you will not use your diffuser for an extended period of time, unplug the power adapter, dispose of the essential oil and wipe the unit clean before storage. Each type of essential oil diffuser works differently; and some are better for certain applications than others. This nebulizing essential oil diffuser is fantastic if you like strong aromatherapy benefits. It is not such a good choice if you need a diffuser for a child’s room, or for a very small space like a car or bathroom. 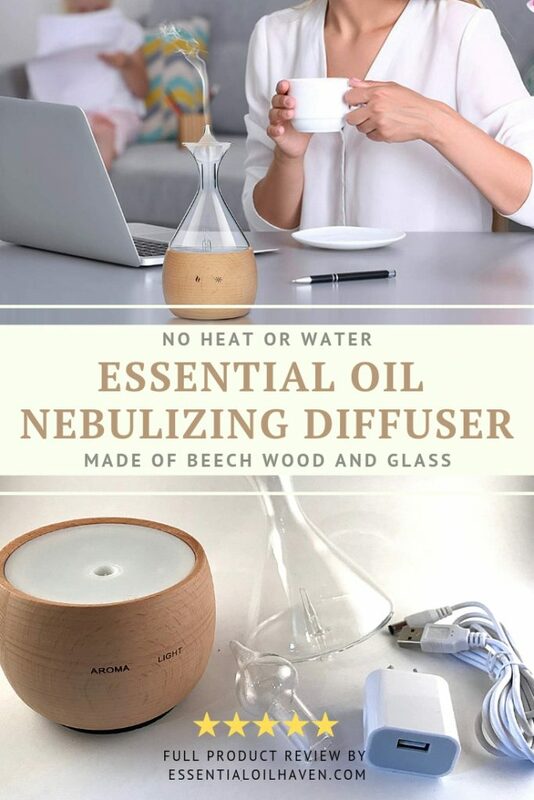 One key benefit of a nebulizing diffuser vs. an ultrasonic diffuser is that you don’t have to hunt for water to mix in with the essential oil anytime you wish to diffuse. You also don’t have to worry about diffuser dilution rates and hitting that perfect balance ratio between water and essential oils. 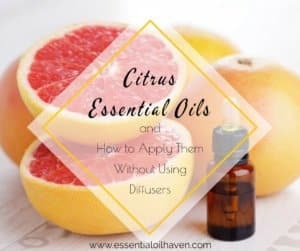 Essential oil diffusers have come a long ways since they were first starting to become popular. This unit is no difference: it is sleek, beautiful, and functions well. I enjoy using it around our home and give it my full recommendation. (5 / 5) due to impeccable style, slick touch operation, fair price point and good product functioning. P.S. This is not a sponsored post. I have not been paid to publish this review. I received a test unit so I could experience the diffuser first-hand. All opinions are my own. Previous Post: « How to Celebrate St. Patrick’s Day #oily Style!